Watercolor, simply put, is water mixed with pigment which is then applied to paper. But painting with watercolors is something entirely different. It can be complex, confusing, and fun at the same time. Learning how to paint with watercolors is more than just watercoloring. Those of us who love it and want to keep getting better aren’t in it just to paint pretty pictures. Have you ever asked yourself why you want to learn, why you want to get better, and why it can be so rewarding? 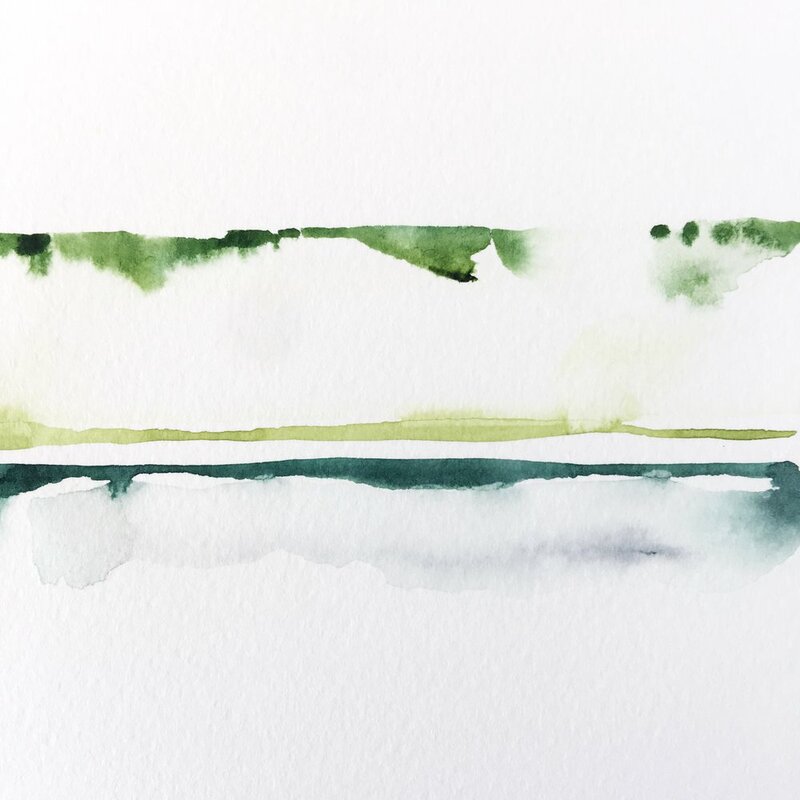 I’ve thought about it and here are 3 reasons why I think watercolors are so much more than just learning to paint. Watercolors, like many hobbies, can be an escape to a place you call your own. I’ve seen people bring painting supplies with them to the hospital to pass the time and relieve stress. I’ve known others who took on watercolors to escape the tension of their daily life. For me, watercolors gave me a sense of purpose and something to look forward to when I was feeling lost. The story and feelings will be different for everyone, but there is comfort and peace when you find a hobby you love and have the chance to practice it. We find relief, escape the grind, and discover purpose when we’re quiet and intentional. Watercolors is just one way to do that. Painting with watercolors requires thought, careful application, and with a project - a goal to aim for. It’s time we take for ourselves and in that time while we paint, we’re slowing down so that we find whatever it is we might need at the moment. Creating art, in any form, requires the artist to observe. Whether or not it’s from memory or a reference photo, making art is the way that we share how we see the world. Painting, like drawing, comes from first observing. When I look at something that I want to paint, I’m observing it with intention. What colors are in this object? What shape is it? Where are the shadows falling? What are the important details that make it unique? Watercolors encourage us to really look before we translate what we see onto paper. Creativity is a word that’s usually reserved for the “artistic” types. You know, painters, musicians, art directors…but we are all creative, even in the everyday things that we do. Each day, we make - or have the opportunity to make - creative decisions from how we dress to coming up with new ideas or solutions for problems at work and home. The potential of our own creativity as an adult is often buried beneath layers and layers of practicality and life-stuff that has piled up over the years. Do you remember when you were a kid? Do you remember creating with reckless abandon? Drawing whatever you want, building forts and dressing up without fear of judgment? Well if you don’t remember, observe young children creating and you’ll immediately see what I mean. I believe that we are all creative, it’s just that most of us have been told or told ourselves that we’re not. Learning something like watercolors can spark that forgotten creativity and reconnect us to our young artists. Discovering our creativity doesn’t only mean that we now have a newfound hobby of painting, it means that we become more creative in our lives in general - which to me, is such a powerful idea. Below is a quote from the book “Creative Confidence” that explains this idea far better than I could. You could say the 3 reasons above are side-effects of learning to paint with watercolor. Benefits that we receive when painting even if we didn’t start by seeking them out. But not everyone gets to the point of enjoying watercolors. I know there are many people that have attempted to control this beautiful fluid medium, became discouraged and gave up. It’s a shame if this was the path they were taking to rediscover their creativity, but felt defeat and retreated. I have listened to the struggles of many beginning watercolor painters and helped them troubleshoot their problems, but with a strong foundation, they wouldn’t have needed to go through the frustration and stress. That’s why I’m working on Just Watercolor, a course to build your foundation and creative confidence in watercolor. So you don’t have to keep searching YouTube videos, Facebook groups, and Instagram tutorials while attempting to paint things using techniques that you may not fully understand. I can’t wait to show you everything I’ve been working on! Enrollment opens at the end of May for a limited time. Sign up below for the waitlist and get my free supply guide and checklist! Sign up for the VIP list and get your guide! As always, thanks for reading! If you found this helpful remember to like, comment, or share this post!